NEW PRICE! 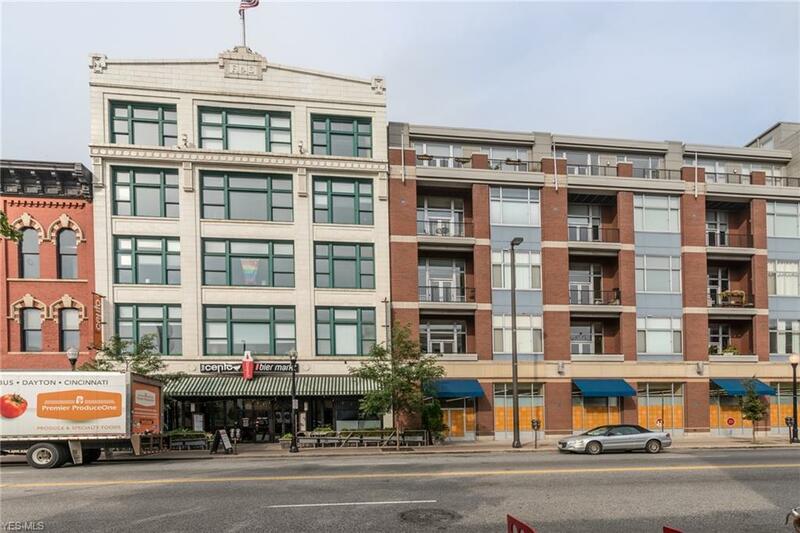 Nowhere else in Ohio City can one enjoy low maintenance living within footsteps of Ohio City's most popular bars, restaurants, boutiques and iconic West Side Market. Welcome to the Fries and Schuele building complete with indoor garage parking, fitness center and interior courtyard patio only residents have access to. 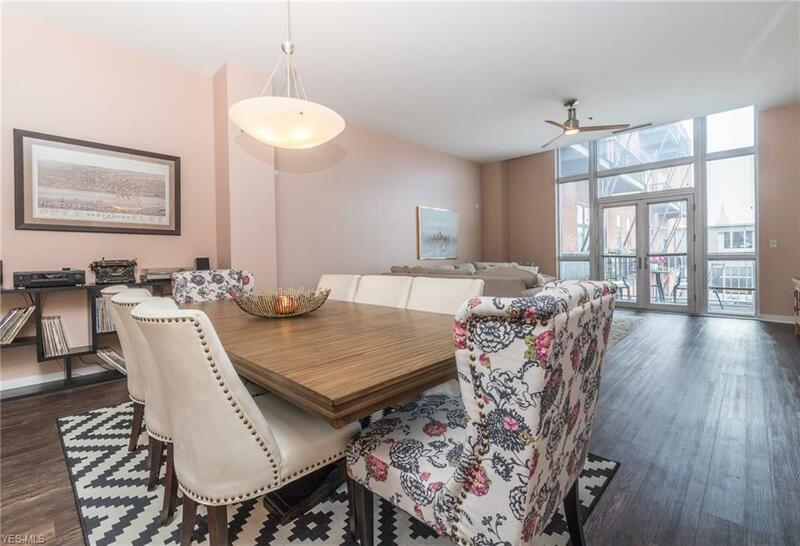 This third floor condo stands out among others with its dramatic living space which easily accommodates an oversized dining area and enormous sectional couch. Owners replaced the floors with fabulous vinyl wood plank slats and completed a custom paint job throughout (including trim). The walk out double glass doors take you to your private western facing balcony to view sunsets on late summer nights. This location within the building is quiet!! Entertain from the kitchen with its ample cabinet and counter space as well as complete package of stainless appliances! 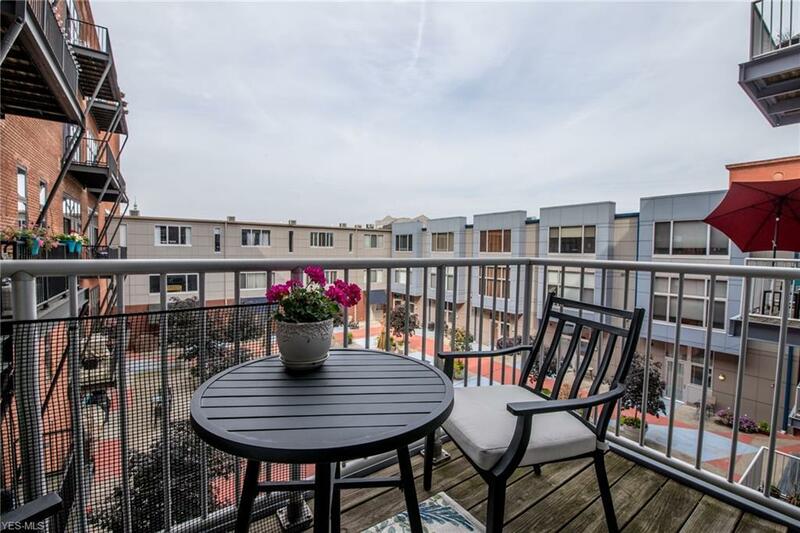 Master boasts a gorgeous window overlooking the courtyard as well as an in suite bathroom and walk in closet. Guests too will enjoy a separate full bathroom and spacious bedroom. Washer/dryer, storage unit and garage space included in price! New H20 tank, new AC motherboard in 2016. Enjoy events with other building residents organized by the HOA included but not limited to yoga in the courtyard and Great Lakes Brewery tastings! 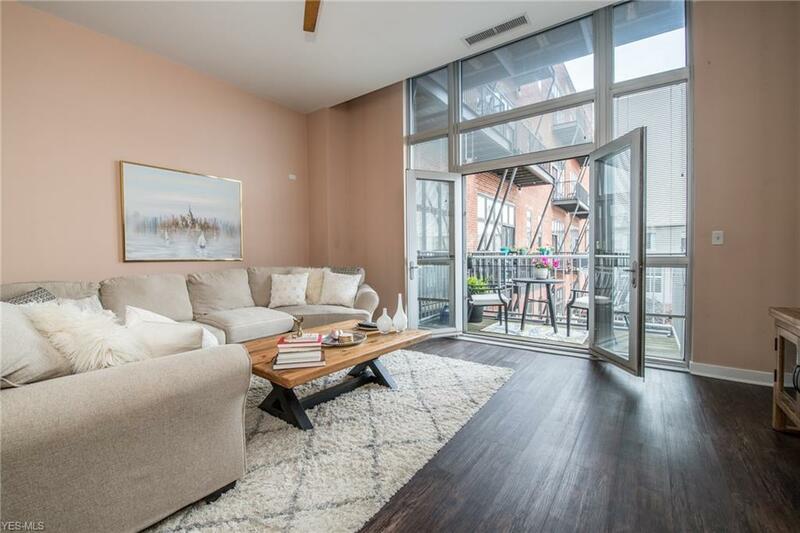 YOUR chance to live in a fantastic floorplan & space situated within the most sought after location in Ohio City. Check out the 3D virtual tour!